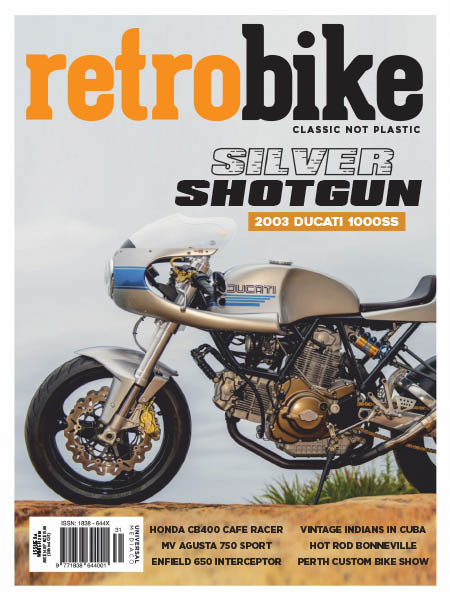 RetroBike - Winter 2019 » Download PDF magazines - Magazines Commumity! Classic Not Plastic. New to the retro scene? Retrobike is your lifestyle workshop manual with lots of good advice and plenty of inspiration for your next purchase or build. In Retrobike we focus on motorcycles with character and style, and the people who ride them. Everything from restored classics to late-model customs and most things in between can be seen between the pages of Retrobike. Every issue, (a true collector’s edition! ), is packed full of content; covering interviews with motorcycling legends, the freshest lifestyle products and gear, trend-setting customs from around the world, restorations, retromods (old bikes, new gear) and modern classics (new bikes made to look old), plus shows, rallies, and runs, not to mention, so much more! 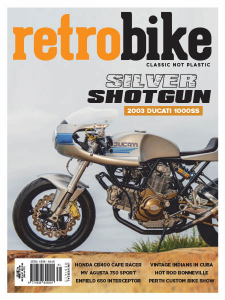 The perfect mag for any passionate, enthusiastic retro bike fanatic.